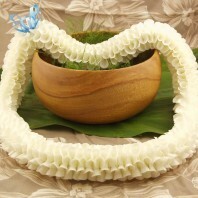 Categories: Fresh Wedding Leis, Graduation Leis, Hawaiian Flower Leis, Premium Leis, Purple Leis. 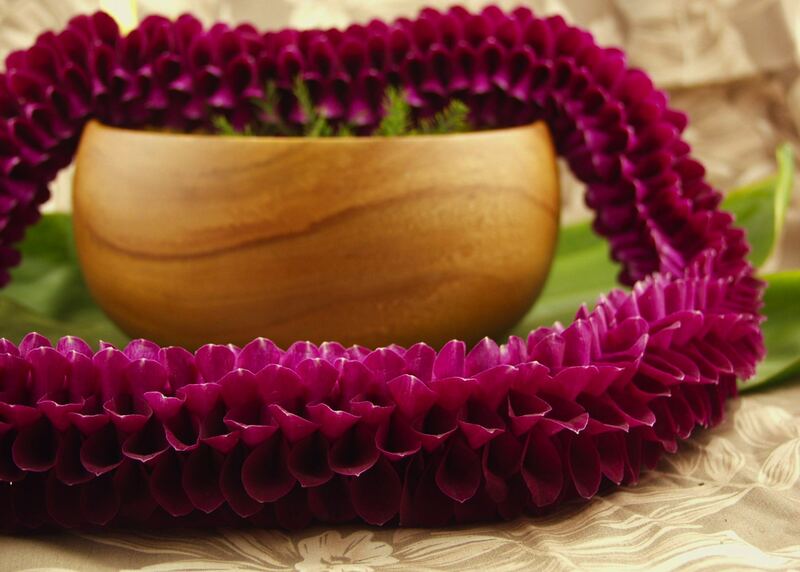 Our Melissa lei is a bold statement in purple. 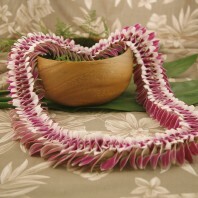 Each loose orchid blossom is folded and sewn into a spiral pattern. 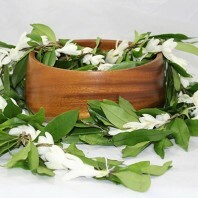 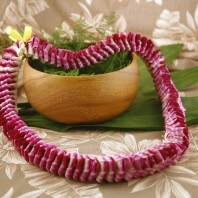 This is a lei that can be worn by women or men. 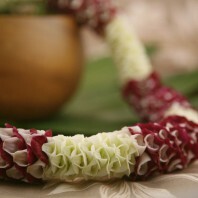 The fancy sewing style makes this an elegant lei. 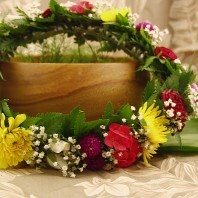 It can be worn for graduation, weddings or any occasion. 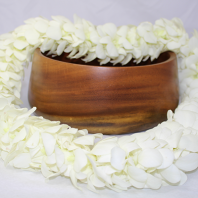 This is a full lei at two inches wide and thirty eight inches around. 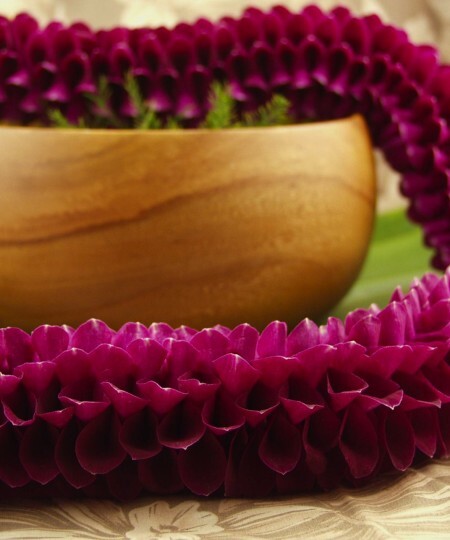 The color is deep, rich and remarkable. 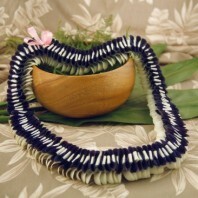 The deep purple color will stand out well against white including for a Hawaiian wedding. 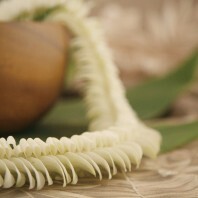 The Melissa lei is not fragrant. 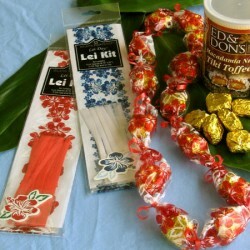 Keep refrigerated in a closed bag after it arrives and until time to wear.